In senior HR job interviews, it's still important to make a good first impression - and not get complacent on account of your recruitment knowledge. 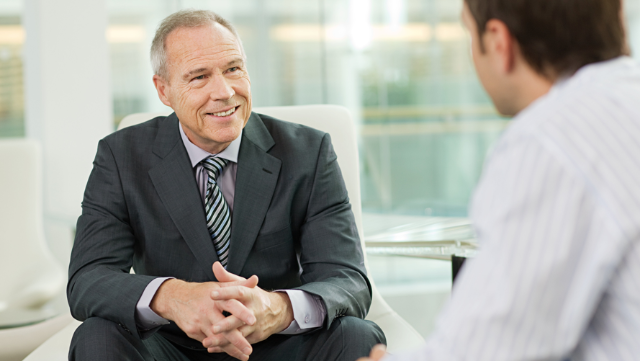 It doesn’t matter what level of seniority you achieve; the interview process is always a daunting one. Often compared to performing on stage in front of a discerning audience, but in this instance you don’t have a character to portray or lines written by an award winning playwright – this is all about you. Your preparation therefore is much like your rehearsal and absolutely crucial for stepping into the spotlight on opening night. While undoubtedly true that the further you progress along your career pathway, the more experienced you become at interviews, it's crucial that you continue to fully prepare in order to maximise your chances of success. Firstly, don’t leave your research to the last minute. While it needs to be fresh in your mind, a rushed last minute skim will leave you feeling tense and under prepared. Your consultant should talk through the role with you a couple of days beforehand, timescales permitting. This briefing is crucial as you will glean information from them that simply isn’t in the public domain; the structure of the team, reporting channels, company growth plans and how the role came about. Really take advantage of their knowledge of the company and what they are looking for in this hire to give you an edge. A good consultant will then follow up with you via email with links to the company website and any other relevant information they feel would aid you in your preparation. However, don’t rely solely on what they can provide; try to be proactive and use the tools that are so readily available thanks to the internet today. You are looking for things that lie within the public domain; first stop, the company’s website. What products or services do they deal with and where do they operate? Is the company focused on the UK market, does it have a European or global scope? If you can locate financial information this will also be of benefit in giving an insight into the company’s recent activity. One area that we find is often overlooked is the news. What has been publicised about the company in recent months? Most put out regular press releases which might not quite reach the heights of the BBC or national news in the case of smaller companies, but industry news may well pay attention and this can be a valuable source of information. Don’t forget to check the press section of the company’s own website as they are often reported there too. Your achievements, skills, expertise, knowledge and personality are what employers are looking to explore and you are seeking to demonstrate in the short space of time that you have in an interview. Knowing your CV backwards is key to presenting a professional image, and being able to fluently discuss your previous experience and quantified achievements without having to refer to a document to confirm facts and figures will help enormously. You will of course, be aiming to ask questions at the end of the interview, and the company research you have carried out and your conversation with your consultant will give you the ground work on which to base these and showcase your acumen. Aim for at least four or five written down, just in case the interview covers one or two during your conversation. I do recommend that you try to maintain a positive rather than negative line of questioning, and don’t be reticent in drawing out your interviewer. A positive question looking to the future focused around the company’s goals for growth for example, and how they anticipate these will impact their people strategy works well, or alternatively how they have overcome challenges in the past. With your research done, questions practiced and a good grasp of the company, you should be now ready and raring to go; waiting in the wings if you will, for the curtain to rise... take a deep breathe and you’re on. What are the 22 highest paid HR jobs in the UK? Why do only big companies talk about purpose?